In fact it was, and that was some time ago in the U.S. And it didn’t do very well. She was the winner of the 'balance beams on bobble hat' contest. But let’s not get too far ahead of ourselves. 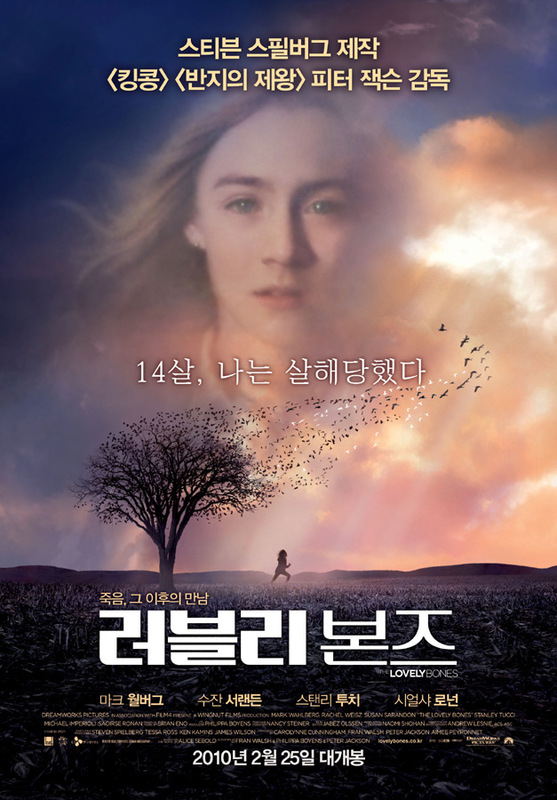 ‘The Lovely Bones’ tells the story of Susie Salmon (Saoirse Ronan), a 14-year old girl for whom life nearly happened. For a while, it seemed to be perfect, though. 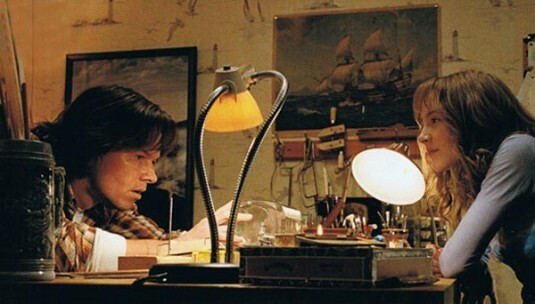 Though suffering from the angst of every other teenager of the same age, she had a loving family, protective parents like Jack (Mark Wahlberg) and Abigail (Rachel Weisz), as well as a healthy (enough) relationship with her younger siblings, Lindsey (Rose McIver) and Buckley (Christian Thomas Ashdale) . At school, a guy she had a crush on, Ray Singh (Reece Ritchie), actually asked her out on a date (actually wanted to try to kiss her when he did so. Kids move fast in the 70s…). It is unfortunate, then, that she would meet an early demise at the hands of the creepy old guy she has for a neighbour, George Harvey (Stanley Tucci). 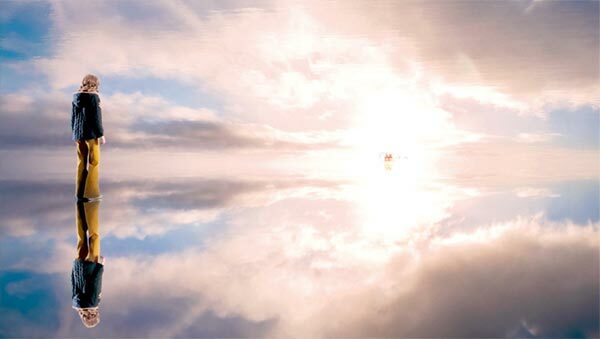 And at his hands did her demise she meet, and Susie’s spirit watches from above how the people in her lives dealt with her loss. 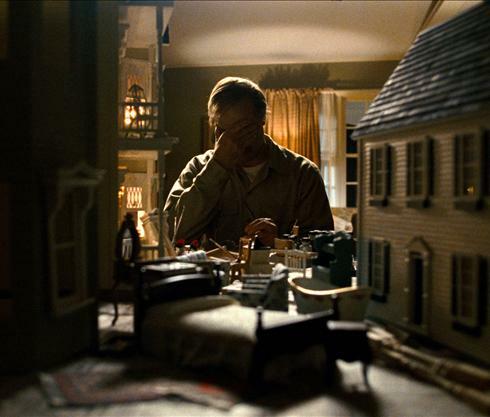 He mixed up his dollhouse collection once again. Anyways, things looked mighty beautiful up until this point. The colour tones were bright, the clothes classy, the music…totally awesome! I totally dig the soundtrack, which shifts from 70s fun to beautifully spaced-out, dreamy piano pieces. Back and forth, back and forth, within the opening twenty minutes or so. And then things changed, aided by the aforementioned music. Things became slow, the music more spaced out, and the colours…changed. Everything became slightly colder, abandoning the 70s warmth that we felt within the opening scenes. When she encountered Mr. Harvey in the field on the way back home one day, in some of the shots the tones and colours even combined altogether in one shot. Mr. Harvey on the left, Susie on the right. Mr. Harvey is within the shadows somewhat, the sunlight having fallen behind the trees, and Susie is still within the light of the living. Even the trees in the background was different on their respective sides. All framed and composed within that one shot, as the camera dollies slowly to the left. Beautiful. 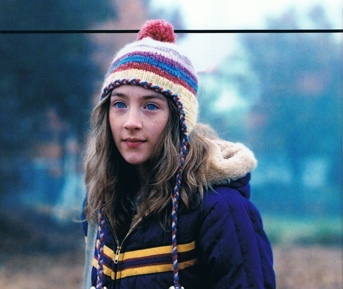 And it is this one word that I kept coming back to when I think back about this film: beautiful. Even in moments of extreme violence, everything was so beautiful lit and shot. In fact, this film is incredibly colourful. In stark contrast to a lot of the films I saw, which maintains a single colour palette all the way through, this film mixes and matches with almost-reckless abandon. I say almost, because it is clear that Peter Jackson and his art direction team knows what they’re doing (duh). The house, for example, is almost always lit warmly, evoking a certain sense of happiness and belonging that, for me at least, was very homely. Things could change easily within moments, like the mood and tempo of any given scene, and the colours and music were tools that were effectively utilised to effect this. Recycling bottles wasn't a big thing back then. Beautiful, too, is a word that could be used to describe the cast members. Let’s be honest, they’re all rather pleasant to look at. Rachel Weisz is no slouch in this department, and neither is, somewhat surprisingly, Saoirse Ronan (who, despite what I may or may not say in times when I felt like it, is not related to former Boyzone member Ronan Keating 🙂 ); her eyes were somewhat mesmerising to be lost in. Mark Wahlberg, I suspect, will appeal to many, not just with his looks, but with his performance as well. I have to admit, I didn’t really think of him as an actor who is old enough to play the role of a father, but the days of Marky Mark are obviously long-gone. Here, he displayed a maturity in his performance that I did not detect before (not even in ‘The Happening’, when he played another father). He has done action, quiet intensity, and even comedy rather well, but I feel that ‘The Lovely Bones’ will stick out rather nicely on his CV. Susan Sarandon, too, is a breath of fresh air that blew in out of nowhere and owned almost every room of the house. I absolutely loved her here, and finds myself thinking that she had a lot of fun playing this role. I suppose beautiful might not be the right word to describe Stanley Tucci’s performance as a slightly-psychotic creepy old guy of the neighbourhood. I like how he remained a somewhat mysterious figure throughout the film, the guy whose motives couldn’t really be figured out even if you sit down long enough to think about it. There’s a nice little mystery about him, and he himself managed to change himself almost beyond recognition, making my skin crawl just a little bit at times (check out the bits when he sits quietly in the car, alone, in the dark, just…looking at the kids of the neighbourhood). As it turns out, all those fears about UV rays were baseless. It is a little unfortunate, then, that I find myself being somewhat dissatisfied with the whole film. Though this is just a personal preference, I do not believe that extensive interference from the powers that be is the way to move a film forward. This is called deus ex machina (one clear example would be Sam’s eventual revival in ‘Transformers: Revenge of the Fallen’). If it’s somewhat limited to just one or two incidents, it might’ve be OK, but that’s not quite the case here. Susie, refusing to let go of her family, tries instead to help them. I understand that this may well be one of the key elements that has to be preserved from the book itself, but nevertheless, it made things a little too direct, a little too simple. The voiceover, which explained everything so directly in almost every scene, was also somewhat unnecessary. It might have been even creepier had the visuals did all the talking. A pity, really, because the film is visually stunning at times. Perhaps this is little more than nit picking, but the very idea underlying the story alone, as it turns out, became something that didn’t quite wash with me. It may not do so with yours, given the beauty of the film as a whole, and strong all-round performances from everyone. It’s also not to say that I would know a better way to translate the material from the book to the screen, but the end product, as it is, becomes something that doesn’t quite have enough meat on the bone to truly satisfy. However lovely those bones may be. this mustve been 1st time dat pete and wife got it wrong.. but still would wanna watch this one.